St. John’s School was founded by a community of families and faculty who wanted to make a difference in the city of Houston. 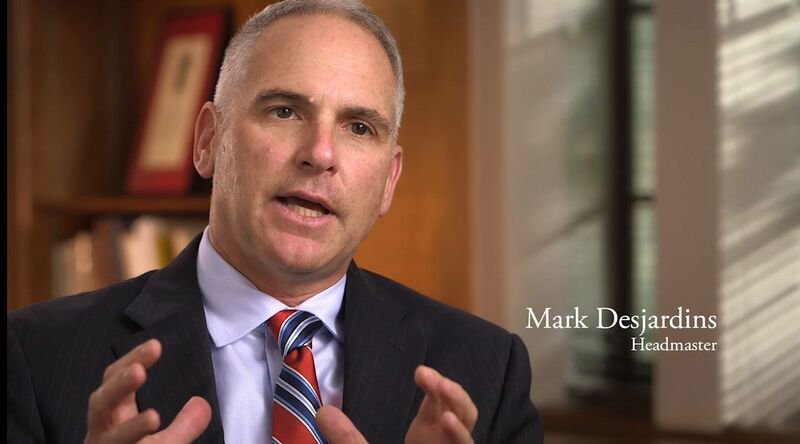 They knew that difference would begin with a great school aimed at preparing students for a lifetime of leadership and service. These community members gave selflessly of their time, abilities, and resources to make St. John’s what it is today. In developing leaders for tomorrow, St. John’s is mindful of the fact that it exists because of the generosity of its founders and seeks to build upon that same spirit of philanthropy today. From the Lower School, where students participate in regular food drives, to the Upper School, where students lead service projects, raise money for disaster relief, and annually log more than 46,000 hours of community service, St. John’s instills the importance of giving back. Students reflect a generous spirit because the adults in their lives model philanthropic behavior. More than nine out of every ten St. John’s parents and eight out of every ten St. John’s faculty members give back to the School through the St. John's Fund. These gifts come on top of countless hours spent volunteering, tutoring, coaching, and mentoring. 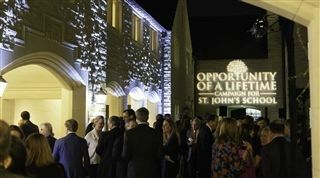 Simply put, philanthropy connects people to St. John’s in a deeper way and makes the community stronger. Students sing the Alma Mater’s refrain: “as we tread thy storied cloisters, we’ll ever mindful be; of the place in selfless service, thy founders dreamt for thee.” You are invited to become a part of this culture of philanthropy through selfless service to St. John’s, the city, and the world. The advancement program at St. John’s School is focused in a manner that is somewhat unique to day schools. 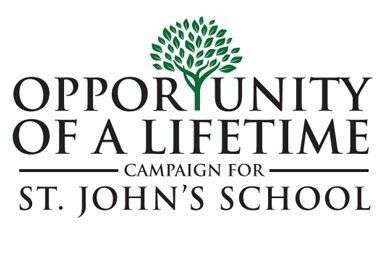 Rather than multiple appeals for philanthropic support during the course of the year, emphasis is placed on the St. John’s Fund (previously called the St. John's Annual Fund), which provides unrestricted funds for support of the overall mission of the School. These funds provide a measure of excellence that directly benefits the student experience. The St. John’s Fund is the foundation of the philanthropic program at St. John’s. Since there is not a series of other appeals such as a gala, auction or other official fundraising programs, families are asked to make a thoughtful single philanthropic gift in support of the mission of St. John’s. For more information on the St. John's Fund, click here to review the brochure entitled Sustaining Excellence. Also, you can find more information on the St. John’s Fund tab within this Support St. John’s portion of the website. 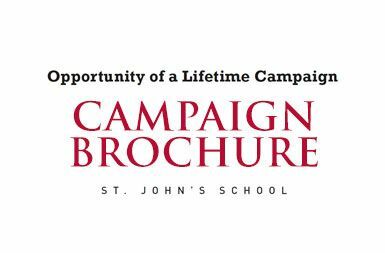 St. John’s recently completed a highly successful comprehensive Opportunity of a Lifetime Campaign. The campaign met the ambitious goal of $100 million. Click here for the Campaign Final Report. 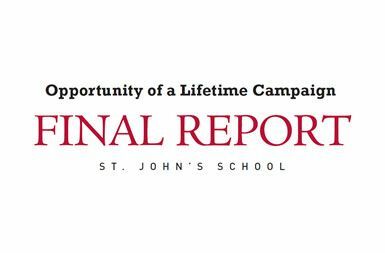 With the Opportunity of a Lifetime Campaign completed and pledges extending through 2020, there are no near-term plans for a community-wide capital or endowment campaign. However, for those who are interested, there are opportunities to make capital, endowment, or planned gifts.